"Do the math. Run the analysis. If you can take steroids (or whatever), and those performance-enhancing drugs can help you bang your way to a deal worth more than $100 million, and then you get caught, and getting caught means you have to give up 2 percent of the money — would you make that trade?" "Absolutely you would. Two percent? That’s an ATM fee." - Alan Abrahamson writing for 3 Wire Sports about how baseball needs to take an "Olympic-style" approach to doping control as currently the rewards for doping far outweigh the possible punishments. 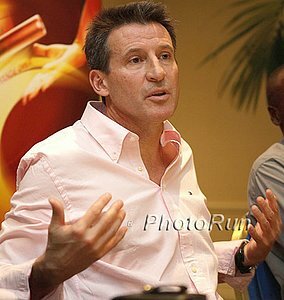 Seb Coe Calls For More Action Against Coaches And Agents Of Doping Athletes Saying, "We shouldn't be entirely focusing on the athlete." "I would rather take the hit now and move towards a sport that has credibility and trust, than sit here in 10 years' time when everybody thinks they're watching American wrestling – they know it's fake and frankly they don't care." Alan Abrahamson Calls For Baseball To Take An Olympic-Style Approach To Doping Control And Actually Deal Out Meaningful Punishment To It's Drug Cheats A first-time offense in baseball is 50 games which isn't even a full-season and you don't lose awards or much money. You can be a drug cheat one year and All-Star or MVP the next. Sophisticated Anti-Doping Program With Blood Testing Planned For Moscow World Champs As usual though we wish they wouldn't announce so many specifics on the testing they plan to do. In 2011 they blood tested every athlete, but announced it beforehand so gave drug cheats could withdraw or take counter measures. Moses Kipsiro Suffers Shock Defeats In 1500 And 5000 At Uganda National Champs Abdallah Mande won the 5000 as Ronald Musagala won the 1500. 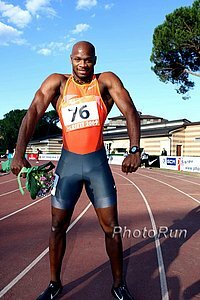 Slovenia’s 2008 Olympic champion Primoz Kozmus Won Hammer Challenge At Karlstad Grand Prix In Sweden With 77.69m Kenya’s Cornelius Kangogo won the 3k in 7:49.98. GB's 16-Year-Old Sophie Hahn Breaks T38 100m WR To Win Paralympic World Title In 13.10 Northern Ireland's Michael McKillop won gold in the T38 1500m final in 4:10.17. Russian Champs: Natalya Aristarkhova Wins Steeple In 9:34; Rinas Akhmadiyev Wins 5,000 In 13:49.73 Even though no one in Russia has the "A" or "B" standard in the men's 5,000, they will still get to send someone as the host nation gets to enter someone in every event. Tesfaye Alemayehu Wins His 4th Straight Napa-To-Sonoma Wine Country Half Marathon In 1:04:10 Former 1,500 Olympian for Canada, Malindi Elmore, won the women's race. Usain Bolt Only Has The 3rd Fastest 2013 Time In The Field For The London DL 100 This Weekend Both Nesta Carter and UK's James Dasaolu have ran faster this year. Kim Collins and Dwain Chambers are also in the field. 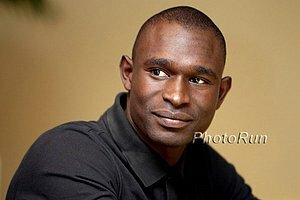 Friday: Former World Half Marathon Champ Wilson Kipsang Highlights Field For 101st Edition Of Giro Podistico di Castelbuono In Italy, One Of The Oldest Road Races In Europe 59:53 half runner Paul Lonyagata and 2:05:46 marathoner Dickson Chumba are in the field as is Italy's European XC champ Andrea Lalli. 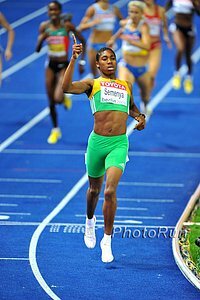 Caster Semenya Will Take One More Shot At Qualifying For Moscow World Champs In Belgium This Sunday It is her last chance before the deadline closes. She's ran 2:06 and 2:04 this year and the "B" standard is 2:01.50 (the "A" 2:00.00). 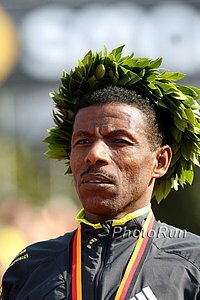 Kenya's World Championships Marathoner Peter Some Is Motivated By The Memory Of His Father Who Won Bronze At The 1983 World XC Champs Some's friends say looks like Kenenisa Bekele when he runs. American Distance Project Updates: Daniel Tapia Added To US Moscow Marathon Squad; Matt Elliot Wins 1000m Race In Belgium In 2:20.30 Elliot will run another 1500 in Belgium Saturday as his last race of the season. *2011 World Silver Medalist Vincent Kipruto And 2009 Race Winner Gilbert Kirwa Announced For This Year's Frankfurt Marathon 2011 Boston Marathon champ Caroline Kilel announced for the women. 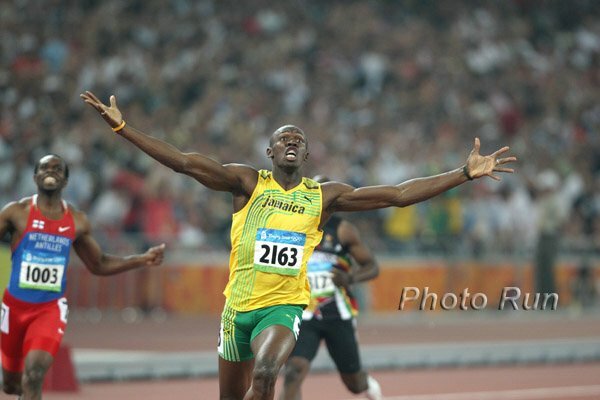 Usain Bolt Hasn't Competed At The London DL Meet Since 2009 Because Of UK Tax Laws, But Is Looking Forward To This Weekend's Anniversary Games They have suspended the tax laws for this meet so Bolt would race. RRW: "July of 2013 may well go down as one of the greatest sporting months in British history." Mo Farah's 3:28 adds to Scotland's Andy Murray becoming the first native men's singles Wimbledon champion in 77 years, Chris Froome's Tour de France victory, and other great performances. GB's Jonnie Peacock Wins IPC 100m TItle In 10.99, .02 Ahead Of US's Richard Browne Browne had actually broken Peacock's 100 WR in the semis the day before. UK Athletics Sign 50-Year Deal To Make London Olympic Stadium It's Official Base It will be used for DL meets in late June and July when there are no soccer games. The Guardian: "London 2012 was one year ago but the jury is still out on its legacy." Jessica Ennis' coach Toni Minichiello is critical of the Olympic legacy, describing it as a "missed opportunity" in athletics and sport more broadly. 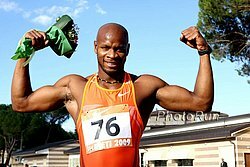 Former Irish Boxing Olympian And World Champion Brian Magee Fails Drug Test He tested positive for Oxilofrine, the same thing Asafa Powell was popped for.